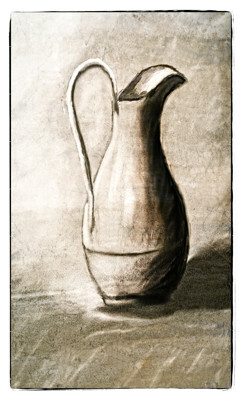 Trying my hand at some still life drawings. Used a program called TwistedBrush Open Studio. By reading only your title, thought that you've have provided us with an action shot, Frank. But, although not comparable, this still life is very attractive too. Very artistic again! It looks like an old painting Frank.